Habit: Agave nashii grows as an acaulescent, semi succulent shrub. The leaves are arranged in a basal rosette producing new leaves from the center every year. The leaves are purplish green, up to 0.75 meter in length and 10 cm in width. The leaf apex is modified into a stout, purplish leaf apical slightly curved spine and the leaf margin has prickles 2-3 mm apart. The actinomorphic, complete, perfect flowers are arranged in a terminal panicle to 5 meters in height. The calyx has 3 unfused green sepals. The corolla has 3 yellow, unfused petals. There are 6 unfused stamens. The superior ovary has 3 locules and numerous seeds. The fruit is a light brown capsule at maturity. The plant uses the entire apical meristem during flowering and will die off after the fruits become mature. Habitat: Agave nashii grows in a sand/soil/limestone substrate in Dry Broadleaf Evergreen Formation – Dwarf Shrubland. Distribution in Bahamas/Globally: Agave nashii is a single island endemic known only to occur along the southern edge of Great Inagua. 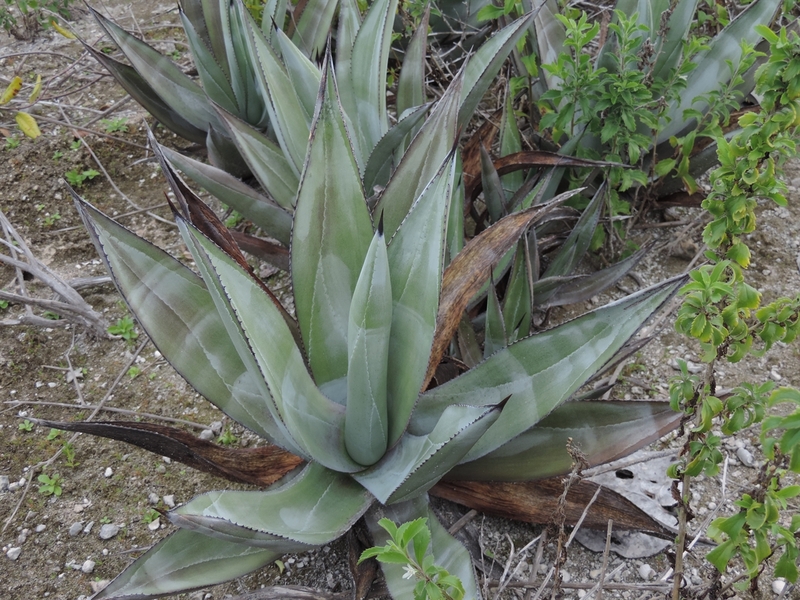 Medicinal/Cultural/Economic usage:	Agave nashii is not used medicinally in the Bahamian Archipelago.